HelloFresh, Macquarie, ZPG, Expedia and Moo are just some of the big names participating in Workplace Week 2017 to celebrate and showcase workplace design, innovation and creativity, with all proceeds donated to BBC Children in Need. Marking its fifth consecutive year, Workplace Week 2017 will take place the week commencing 13 November. The popular week of fundraising is organised by leading workplace consultancy Advanced Workplace Associates (AWA). This year’s event involves a dynamic programme of events, including a host of tours of new workplaces representing some of the most innovative spaces for work across London and beyond. Organisations that have never before opened their doors to show their ‘working workplaces’ will do so next month, including some of the world’s biggest food, travel, technology, financial services and creative organisations. The head office of popular fresh-food subscription start-up, HelloFresh, is bound to lure in foodies and workplace fanatics alike. 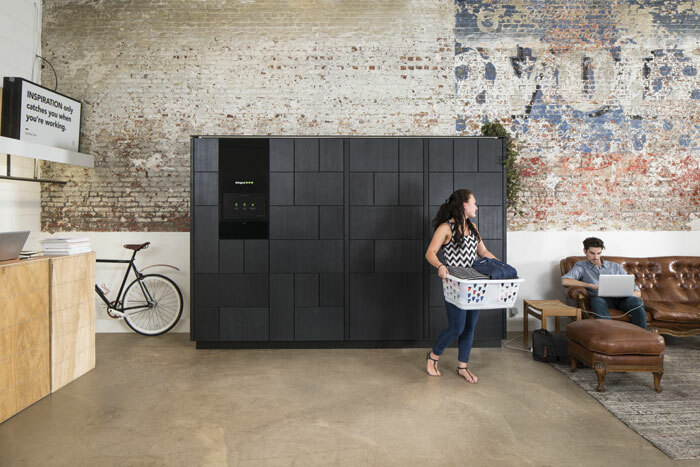 Based in London’s Shoreditch neighbourhood, and winner of the London Design Award for Best Office Space, HelloFresh’s Fresh Farm has been purposefully designed to encourage productivity, creativity and sustainability. 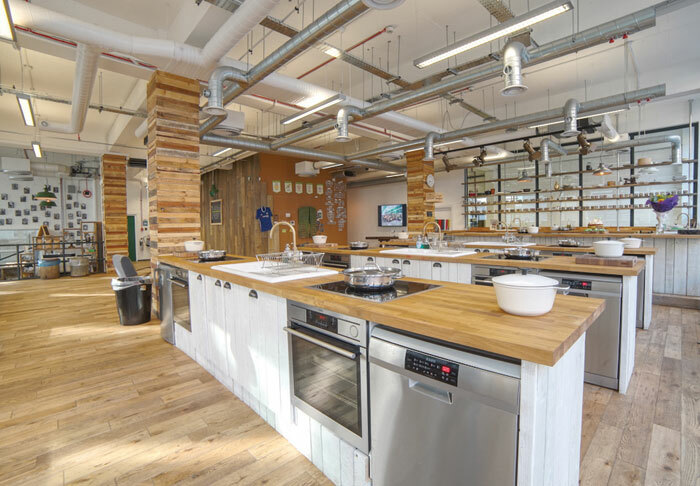 With a range of upcycled furniture, pallet-clad columns, a wall of pre-loved cookery books, and a fully functioning cookery school creating a unique environment for teams to come together, visitors will definitely get a taste of great work/life balance in this trendy north London HQ. A perfect example of contemporary sophistication is the impressive EMEA headquarters of Macquarie. Located in Ropemaker Place, the award-winning HQ – ranked by the Daily Telegraph as one of the ‘UK’s Top 10 Coolest Office Spaces’ in 2015 – is the epicentre of innovation. 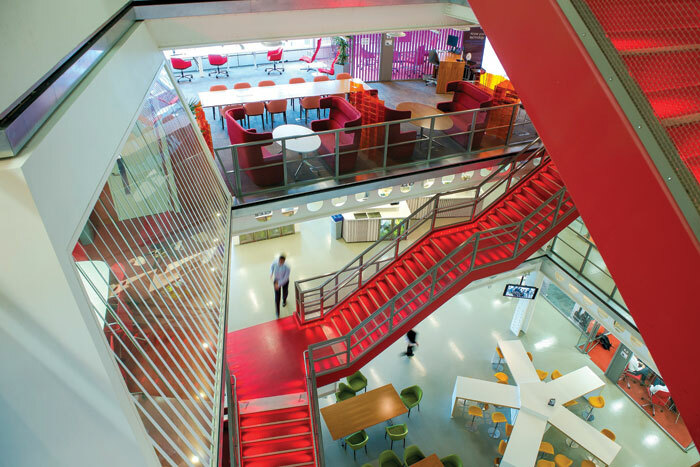 Spanning six floors and 66,250 sq m, the spectacular office incorporates open spaces and portable technology to enable staff to connect and collaborate, with its iconic red staircase climbing through the heart of the building to reflect a culture of openness and connectivity. As one of Glassdoor’s ‘Top 10 Coolest Offices’ in 2017, digital platform provider ZPG (home to Zoopla, USwitch and Prime Location) is another exciting addition to the 2017 programme. Located in a beautiful courtyard setting at Tower Bridge, and infused with impressive industrial design, natural greenery, breakout spaces and natural light, the office is a distinct departure from the tradition work space, designed to incorporate all the characteristics of a ‘home away from home’ providing three floors of living space. Sure to make staff and visitors feel right at home, the office comes complete with a series of boardrooms and collaborative spaces designed and styled as a living room, dining room, wine cellar, study, media room, conservatory, library, terrace – even a treehouse, greenhouse and swimming pool (complete with diving board!). Expedia’s office in Angel, north London, allows you to travel the world with one walk of the office, fitted with a range of internationally themed meeting rooms. With its huge roof terrace offering stunning views of the north London skyline, multiple ‘chill-out zones’, Formula One simulators, plus a host of benefits for employees, visitors might get jet-lag just taking in the awe-inspiring working world of Expedia. Completing the first five names to hit the bill next month, is digital print and design company, MOO, based directly opposite Farringdon Underground station in heart of London’s 18th-century printing district. With an office space spanning 120m long and 40m wide (the equivalent of three Olympic size swimming pools) – and a 60m-long paper installation suspended from the ceiling, constructed from more than 500 panels of beautifully crafted G.F Smith Colorplan paper – the large open-plan office is as colourful and vibrant as the materials it prints. Even the books in the firm’s personal library are organised by colour rather than by name. And that’s not all… more than 15 other workplaces opening their doors for Workplace Week 2017 are still to be announced.